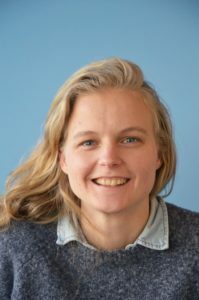 Charlotte Andriessen started her academic career in 2011 at Maastricht University, where she studied the BSc Health Sciences with a specialization in Human Biology. After completing the bachelor, she enrolled in the MSc Nutrition and Health at Wageningen University in 2014 and specialized in Nutritional Physiology and Health Status. As part of her master study, Charlotte did an internship at the University of Copenhagen (Denmark) at the department of Nutrition, Exercise and Sports. During this internship, she wrote a research manuscript about the effects of weight loss on appetite and food preferences in overweight and obese adults. Her supervisors were Prof. Anne Raben and Dr. Pia Christensen. Currently, this manuscript has been submitted for publication. In February 2018, Charlotte returned to Maastricht to start her PhD at Maastricht University in the research group of Prof. Patrick Schrauwen. She investigates the influence of the biological clock on human metabolism, with a focus on insulin sensitivity and type 2 diabetes.